Maintaining a beautiful lawn in Toronto takes a lot of hard work and dedication. 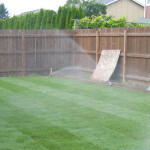 Not everybody in the home or business has the time they would like to ensure the type of lawn they desire. When it comes to lawn maintenance in Toronto there is truly only one company to call for a wide range of lawn care services. There is only one team that provides a comprehensive package of services for the lawn at affordable prices and that is our lawn service contractor. What Woodwork Can Be Done In Your Garden? When the garden is dressed in wood, elegance prevails! Natural materials blend beautifully with the green parts of the garden and won’t only create marvelous sceneries but they will also bring convenience. Those who are lucky enough to have plenty of space, the choices of woodwork are plenty. Though, those of you with smaller gardens shouldn’t get disappointed. There are extraordinary ideas on how to turn a small space into a fantastic, comfortable area where you can relax and enjoy your day. All plants are beautiful but they are not all appropriate for every garden. The weather conditions, the quality of the earth and definitely the good maintenance will all play a very important role to whether your plants will thrive or die. 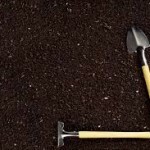 Did you choose the right soil? Did you plant the flowers and shrubs in the right season? Soil is the home of your plants! It’s the place where all shrubs, trees and the smallest flower will bloom! Does it strike you as strange that beautiful wild plants and flowers are growing in the most peculiar parts of the world? 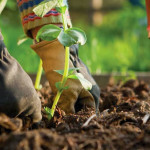 Each plant will need different conditions in order to thrive and apart from the right portion of sun, shade, water and nutrition, soil is the number one determinant for the actual and proper thriving of all kinds of plants.